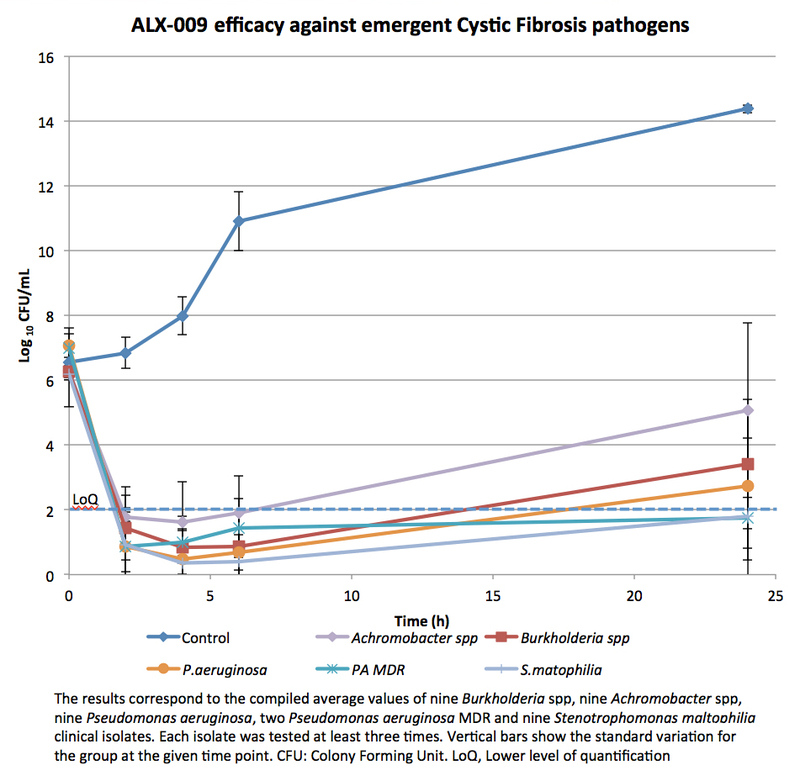 ALX-009 is a first-in class orphan drug candidate for Cystic Fibrosis (CF) patients. It consists in the combination of two endogenous substances, hypothiocyanite (OSCN-) and lactoferrin, exhibiting antimicrobial properties compensating the defective innate immune system in CF patients. 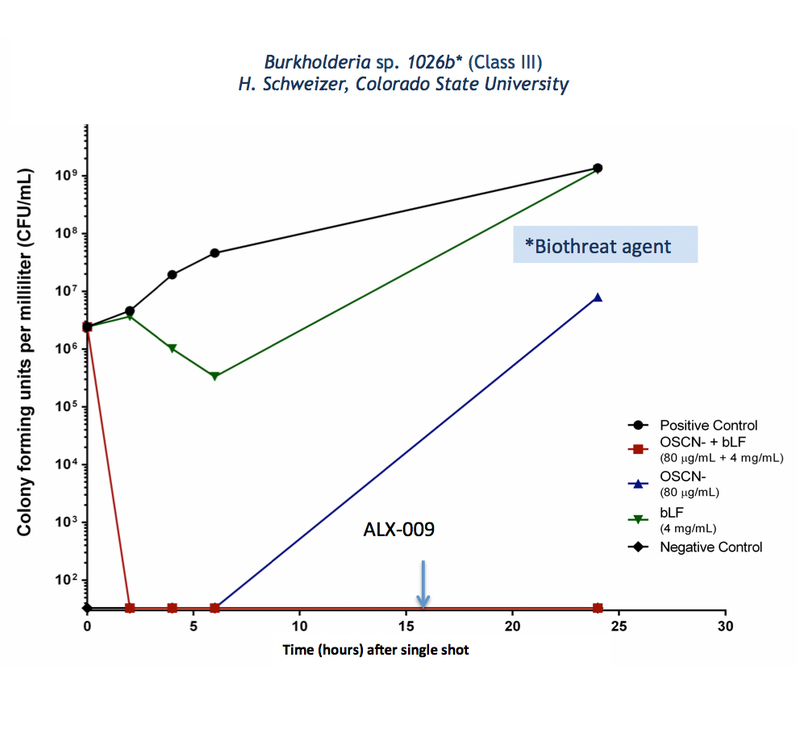 ALX-009 is presented as a solution for inhalation for the symptomatic treatment of lung infections. ALX-009 scientific and medical rationale. The genetic causes of CF are linked to the mutation of a single gene, the cftr (cystic fibrosis transmembrane conductance regulator) gene. This gene codes for the CFTR membrane proteins involved in the ion exchange between the cell and the lumen. In the lung, ionic equilibrium is important to preserve the protective action of the Airway Surface Liquid (ASL) and mucus. However, in CF patients, ASL, mucus volumes and compositions are modified. The ASL normally contains bactericidal/bacteriostatic products in solution that are less or not present in the ASL of CF patients. In addition, the volume of the ASL of CF patients is reduced with increased salt content; both factors dehydrate the mucus that becomes thick and accumulates at the surface of cells. 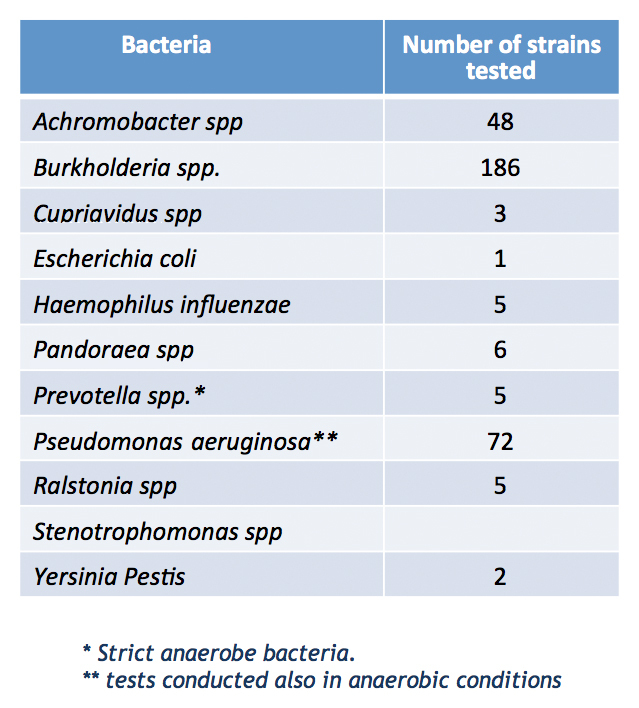 OSCN- and lactoferrin are among the bactericidal compounds that are deficient in the ASL of CF patients. OSCN- is a potent large spectrum antimicrobial compound whereas lactoferrin is a multifunctional protein that inactivates/kills bacteria. Presence of OSCN- is significantly influenced by the CFTR function. Indeed, the precursor molecule SCN- transits by the CFTR channel to the ASL where it reacts with H2O2 via a lactoperoxidase enzymatic reaction to produce OSCN-. However, in CF patients, the SCN- traffic via the CFTR channel is inefficient and the secretion of lactoperoxidase seems also impaired by the obstruction of goblet cells by the thick mucus covering the CF lung epithelia. OSCN- production is then compromised. Lactoferrin secretion is also blocked by the mucus, reducing even more the natural ASL defense capacity. OSCN- is a highly reactive compound that oxidizes free thiol radicals of proteins to created disulfide bonds that perturb the bacterial physiology. 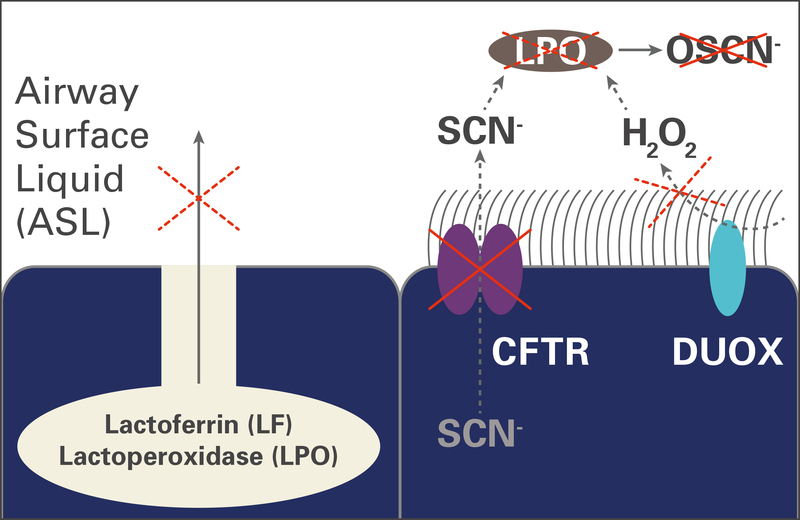 Lactoferrin may act by direct interaction with bacterial cell membranes by depriving bacteria of iron due to its iron chelator activity. By providing both molecules, ALX-009, a fixed combination of OSCN- and lactoferrin, will contribute to restore the natural capacity of the lung to fight against infections. The lactoperoxidase system functions in bacterial clearance of airways. Gerson C, Sabater J, Scuri M, Torbati A, Coffey R, Abraham JW, Lauredo I, Forteza R, Wanner A, Salathe M, Abraham WM, Conner GE. Am J Respir Cell Mol Biol. 2000 Jun;22(6):665-71. A component of innate immunity prevents bacterial biofilm development. Singh PK, Parsek MR, Greenberg EP, Welsh MJ. Nature. 2002 May 30; 417(6888):552-5. Dual oxidases represent novel hydrogen peroxide sources supporting mucosal surface host defenses. Geiszt M, Witta J, Baffi J, Lekstrom K, Leto TL. The FASEB J. 2003; 17(11):1502-4. Wijkstrom-Frei C, El-Chemaly S, Ali-Rachedi R, Gerson C, Cobas MA, Forteza R, Salathe M, Conner GE. Cell Mol. Biol. 2003 Aug; 29(2):206-12. 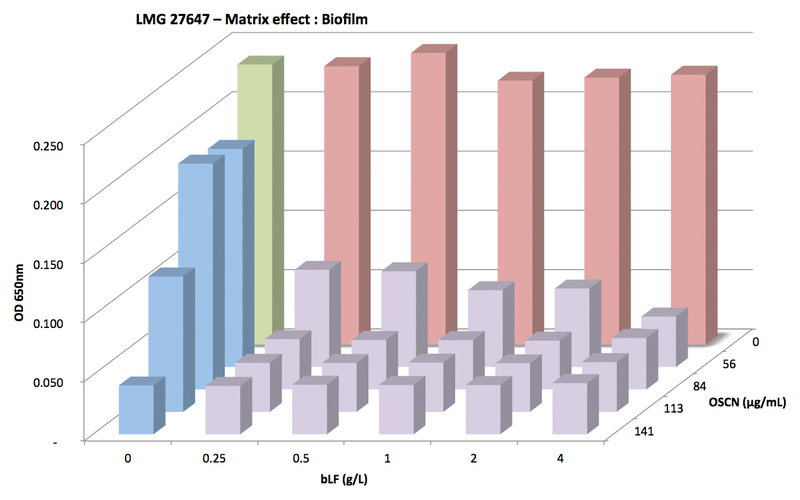 Loss of microbicidal activity and increased formation of biofilm due to decreased lactoferrin activity in patients with cystic fibrosis. Rogan MP, Taggart CC, Greene CM, Murphy PG, O’Neill SJ, McElvaney NG. J Infect Dis. 2004 Oct 1;190(7):1245-53. Epub 2004 Aug 26. Rogan MP, Geraghty P, Greene CM, O’Neill SJ, Taggart CC, McElvaney NG. A novel host defense system of airways is defective in cystic fibrosis. Moskwa P, Lorentzen D, Excoffon KJ, Zabner J, McCray PB Jr, Nauseef W M, Dupuy C, Bánfi B. Am. J. Respir. Crit. Care Med. 2007 Jan 15; 175(2):174-83. A new model of cystic fibrosis pathology: lack of transport of glutathione and its thiocyanate conjugates. Childers M, Eckel G, Himmel A, Caldwell J. The lactoperoxidase system links anion transport to host defense in cystic fibrosis. Conner GE, Wijkstrom-Frei C, Randell SH, Fernandez VE, Salathe M.
FEBS Lett. 2007 Jan 23; 581(2):271-8. The pseudomonas toxin pyocyanin inhibits the dual oxidase based antimicrobial system as it imposes oxidative stress on airway epithelial cells. Rada B, Lekstrom K, Damian S, Dupuy C, Leto TL. J Immunol. 2008 Oct 1; 181(7):4883-93. 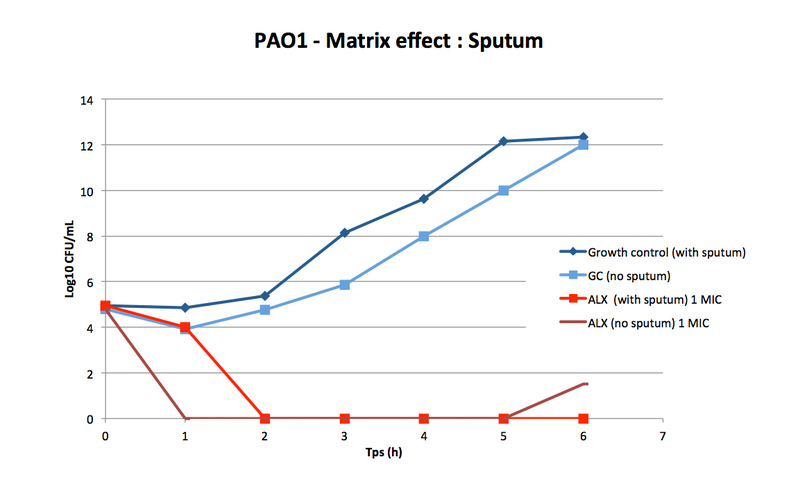 Mechanisms and function of DUOX in epithelia of the lung. Thiocyanate: a potentially useful therapeutic agent with host defense and antioxidant properties. Biochem Pharmacol. 2012 Dec 1;84(11):1381-7. Selective metabolism of hypothiocyanous acid by mammalian thioredoxin reductase promotes lung innate immunity and antioxidant defense. Chandler JD, Nichols DP, Nick JA, Hondal RJ, Day BJ. J Biol Chem. 2013 Jun 21;288(25):18421-8. In vitro antiviral activity of hypothiocyanite against A/H1N1/2009 pandemic influenza virus. Cegolon L, Salata C, Piccoli E, Juarez V, Palu G, Mastrangelo G, Calistri A.
Int J Hyg Environ Health. 2014 Jan;217(1):17-22. Combination of hypothiocyanite and lactoferrin (ALX-109) enhances the ability of tobramycin and aztreonam to eliminate Pseudomonas aeruginosa biofilms growing on cystic fibrosis airway epithelial cells. Moreau-Marquis S, Coutermarsh B, Stanton BA. J Antimicrob Chemother. 2015 Jan;70(1):160-6. Activity of hypothiocyanite and lactoferrin (ALX-009) against respiratory cystic fibrosis pathogens in sputum. J Antimicrob Chemother. 2018 Sep 14.